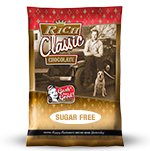 The same smooth, creamy rich chocolate taste as our Original Rich Classic Chocolate™ but it’s Sugar Free with less calories and carbohydrates. Its cocoa flavor makes memorable specialty beverages. You won’t believe it’s sugar free. 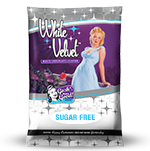 The very first sugar free white chocolate, never duplicated and still the BEST! 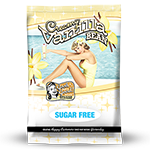 Hard to believe it’s sweet creamy taste is low in calories & carbohydrates too. Yet it’s smooth elegant flavor will make you Fall in Love every time. 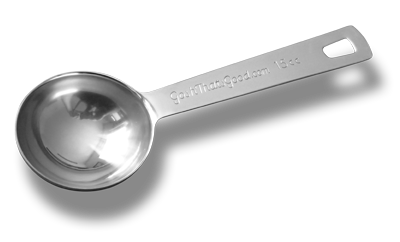 Our #1 seller! 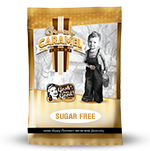 The rich smooth taste of golden creamy caramel but it’s but it’s sugar free with less calories and carbohydrates. It’s balanced perfectly to create irresistibly dreamy beverages. Unwrap this caramel from way before yesterday! 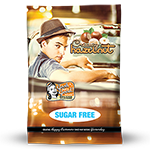 Our take on a classic flavor but it’s sugar free with less calories and carbohydrates. Together we’ll take the rich bold taste of Madagascar vanilla and create a new experience for your coffee shop beverages for many years to come! The sweet buttery taste of toasted hazelnuts but it's sugar free with less calories and carbohydrates. Added to any hot, iced, blended or smoothie beverage will have your customers going nuts over it! 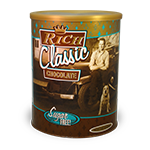 If you're looking for the old fashion goodness of rich smooth chocolate, SUGAR FREE Rich Classic is for you! Seductively smooth elegant White Chocolate. We were the first and still the best.